The timeless appeal of the Dorchester collection makes it one of the best sellers from Heritage. 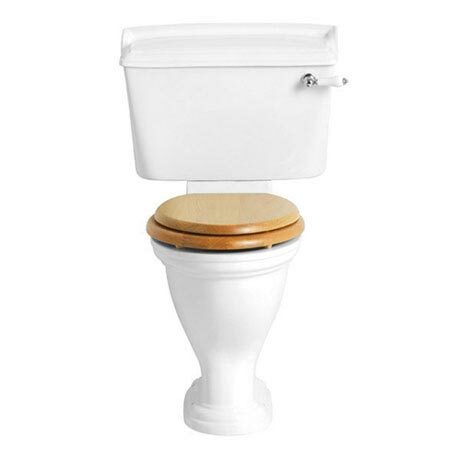 This Close Coupled WC & Landscape Cistern is constructed from high grade vitreous china ensuring a quality finish and long lasting durability and is engineered to flush fully on just 4 Litres of water. Being 60mm taller than the standard WC makes it a more comfortable solution to those with joint or back problems or tall people. Select from a choice of 4 stylish flush levers to add your own personal finishing touch. For peace of mind Heritage offer a lifetime guarantee on all their sanitary ware.